The changes occurring in medical education have led to important principles being identified that are relevant to teaching in supportive care. Many of these principles are already an integral part of the Newcastle, NSW, Medical Faculty undergraduate course and are being applied to the teaching of oncology and supportive care. The same principles can be applied to curriculum development and implementation in other settings. A curriculum is proposed that builds on a general background of oncology knowledge. 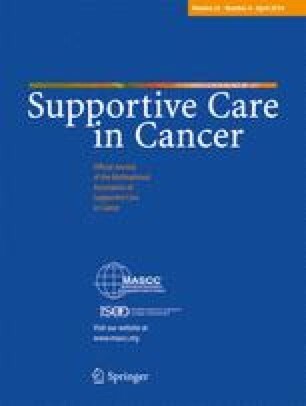 Factual knowledge is limited to the precarious clinical problems requiring optimal supportive care, the priority oncology syndromes, palliative care and principles of psychosocial and behavioural science interventions. The curriculum also includes critical reasoning, special skills including counselling, communication, self-directed learning, team management, health-service resources and structure, and relevant management skills. To implement the curriculum, consideration must be given to teaching methods (teaching in context and in small groups, problem-based learning and problem solving). The needs of students, quality of the teachers, when and where the teaching and learning will occur and methods of assessment should also be considered to ensure the curriculum can be used optimally.